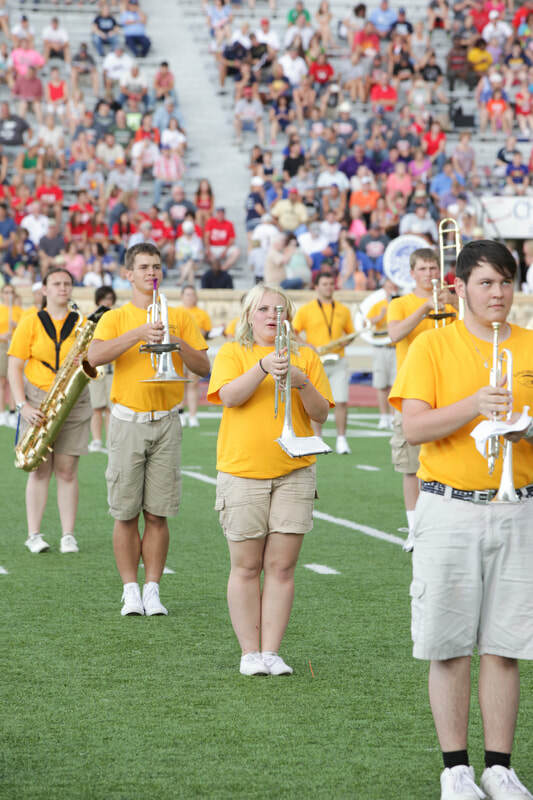 The Band has been a continuous and very beneficial element of the Kansas Shrine Bowl since 1984. The idea of a band camp developed to fill a void at the Shrine Bowl because regular high school bands were not available in the summer months, when the Shrine Bowl was held. The Kansas Masonic All-State High School Marching Band Camp is held at the site of the annual Kansas Shrine Bowl All-Star Football Game. The 2019 Camp will be held June 4th - 8th in Dodge City, Kansas . 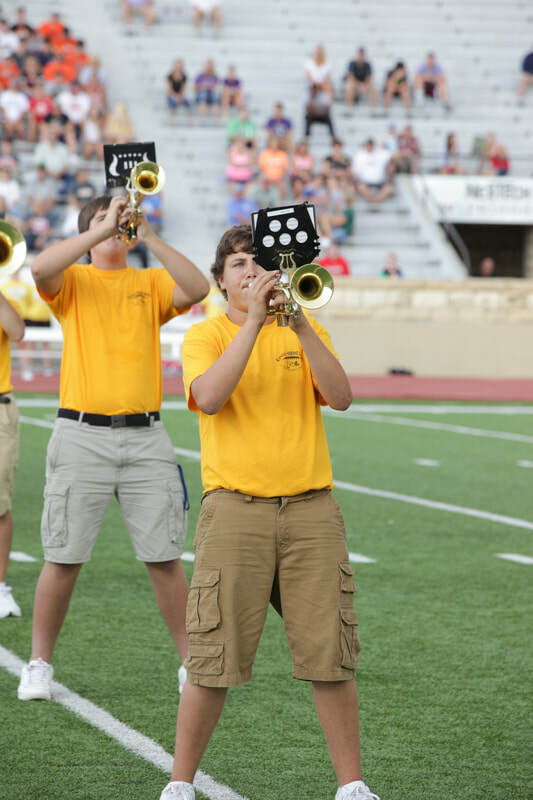 Annually, a total of 180 to 225 of Kansas’ best high school musicians are showcased in this event that is capped by the pre-game & halftime performance in the Kansas East-West All-Star Shrine Bowl football game. The Band also performs at the Shrine Bowl Banquet on Friday evening, and Saturday morning the Band leads the Shrine Bowl Parade through a downtown area. Student's camp fees are sponsored by Masonic and Shrine organizations throughout the state. The Band is administered and managed by the Shrine Bowl of Kansas Inc.